The first part of this series showed you how to write simple queries to get data from you DWDatamart database (or any other database). And why you need to join 3 views to be able to get the displayname of the lists (enumerations) in SCSM! This part will show you the more advanced queries to get the different relationships from a incident in the Datawarehouse. Remember our end goal is delivering a need report to present to the managers crying for reports! With part 1 “ Basic Queries” we are able to deliver 2 out of the 6 fields to present in our report. And we are able to deliver much more “standard” information from an incident to get already a real reporting experience. This part will focus on how you can add the responsible people of the incident and a little “extra” how to get the related CI’s. 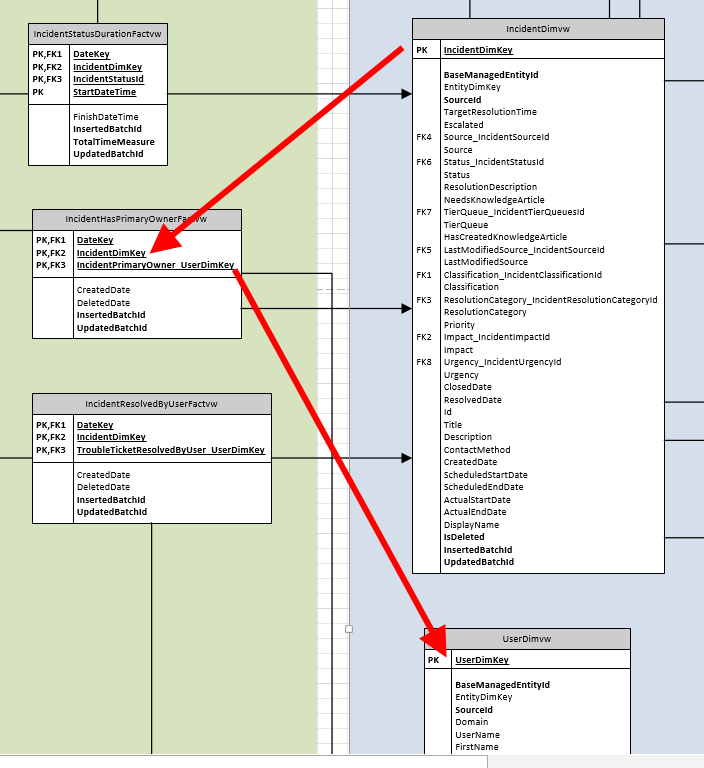 Before we can start writing the Query you need to familiarize yourself with the data model used in SCSM. 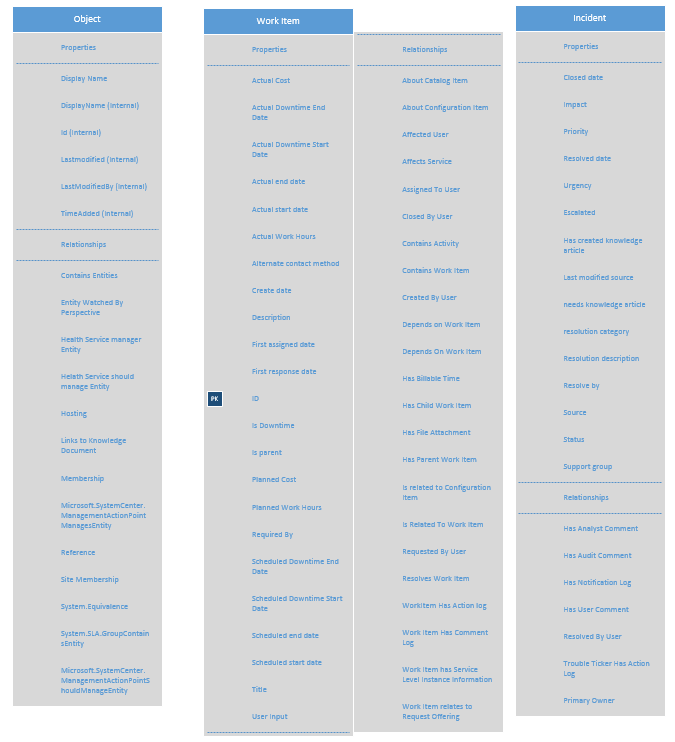 Here a version of the 2010 data model For the Service Manager Database and DWDatamart (which is mostly the same for 2012) Have fun! Now let’s start writing the query. First of all the data model is based on 2010 so all new classes / relationships created since 2012 are not in the Visio diagrams!!! You need to have the DWDatamart Visio which has the model for each workitem / config item. 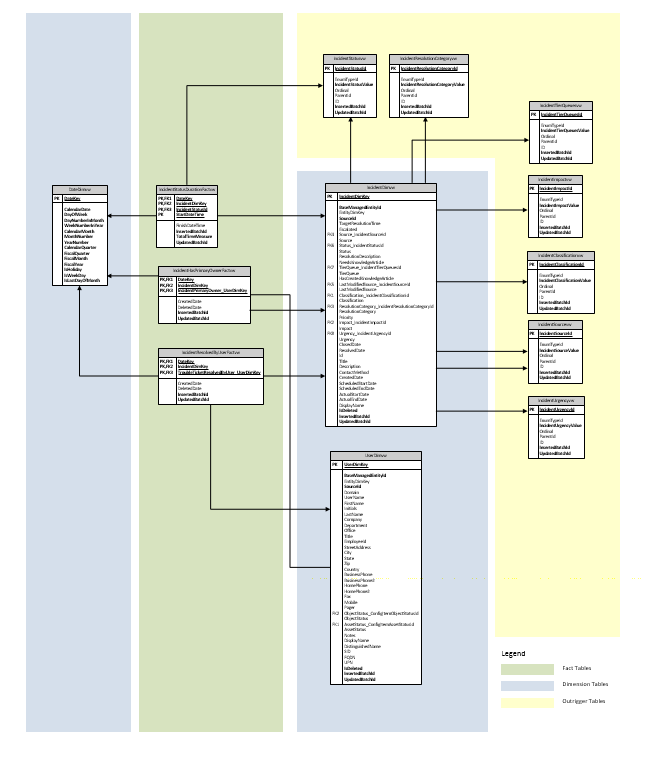 But before we dive into the Visio’s let’s first take a step back and look at the data model. Now SCSM is build on the same framework as SCOM so any information / knowledge on the SCOM Data Model will greatly benefit! All classes in SCSM are derived from the base class named “Object” which is the highest base class. Mainly there are 2 main abstract classes beneath this class in SCSM for “Work Items” and “Configuration Items”. As stated an object is the base class in SCSM and all objects are derived from this class. Work Item class is created with a base class of Object class. 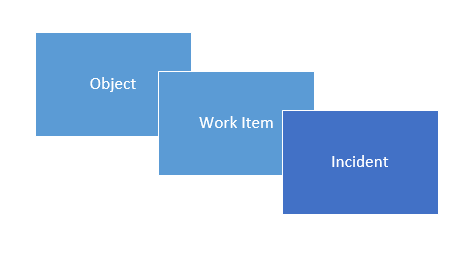 Incident Class is created with a base class of Work Item. 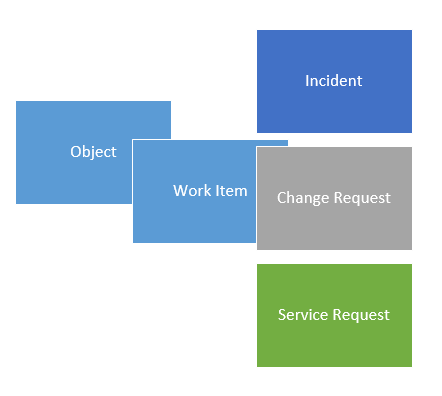 In SCSM all work Items like Incident, Change request, Service Request are created from the base class Work Item. Now when you look at properties and relationships on a class it is crucial you understand how a class gets it’s properties. When you look at an incident class it has the properties and relationships defined specific for the Incident class AND all Work Item class properties and relationships AND all Object Class properties and relationships . This means every object in SCSM which has a base class of work item class (like Change Request, Service Request etc.) has beside it’s own properties also all properties from object class and Work Item Class. Below is an overview of all class properties defined for the specific class. 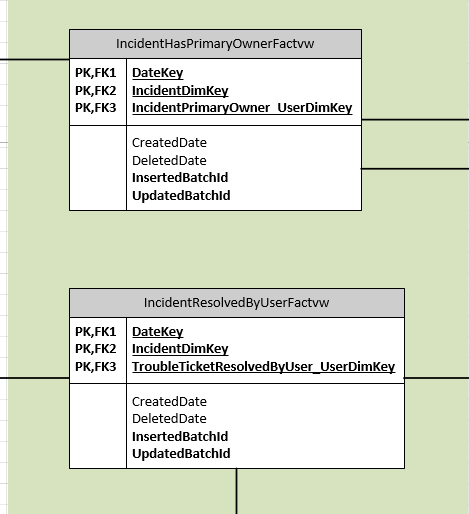 When you open the Incident class in the authoring tool and look at the properties and relationships you will notice all properties in above sheet are shown on the Incident Class properties (Except the internal ones from the object class). The information of where these relationships are defined (on which class) is crucial to be able to pull the information!!! When you select the relationship in the authoring console you need to take a look at the details of the relationship and specifically the SOURCE this will tell you the source class of the relationship, Work Item. So this relationship we want is not defined on the Incident class but on the work item class! If you understand this concept you can find anything in the DWDatamart and you can really understand the impact of a class extension or DW extension. 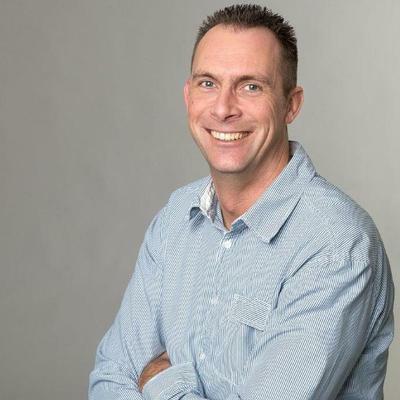 If you want to know more on the data model Chapter 16 and 18 of System Center Service Manager 2010 Unleashed explains in detail the data model of SCSM. For SCOM reference System Center Operations Manager 2012 Unleashed which is basically the same data model as for SCSM. This will get the primary owner of an incident. Notice the “AND deletedate IS Null” the reason for adding this line is we only want the current owner! 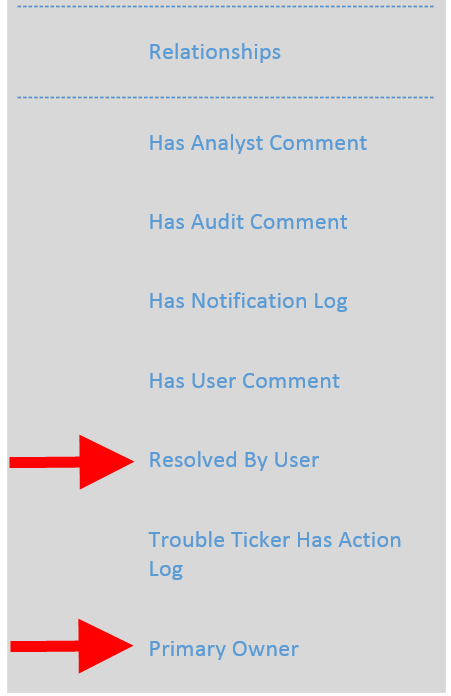 When you change the owner of an incident this table is updated with the new owner and the old owner will be “flagged” as deleted. These are nice but you want the related CI’s as well or any other relationship of an incident. To get the other relationships you need to be aware of where those relationships are targeted. 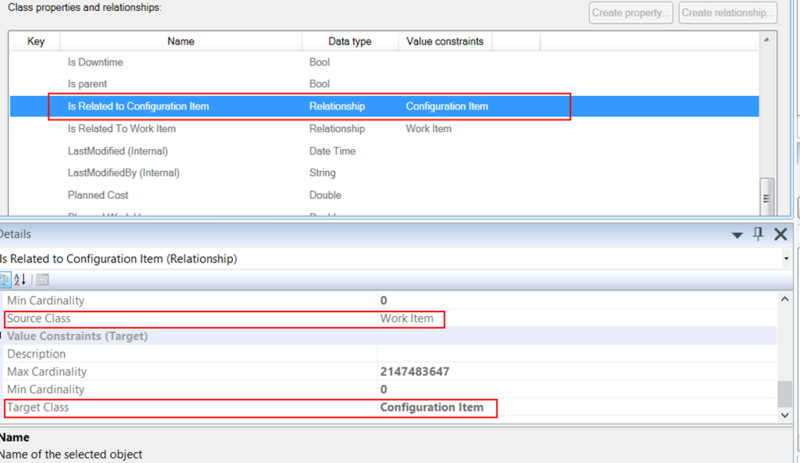 In the example shown Incident = Work Item = Object we have seen these relationships life at the Work Item. We need to travel one level up in our query to be able to get to these relationships. With this join we are now able to get to those other relationships because we can now use the WorkItemDimvw to get to these by using WI. Now you can use the same approach as with the incidentDimvw and IncidentFact views with WorkItemDimvw. The first join is on the WorkItemAssignedTouserFactvw, these kind of fact views hold the relationships. So you first need to get the relationship and after this you are able to join this with the UserDimvw to get to the Display Name of the user! Now let’s write the Query containing this Joining extravaganza! You are now able to get the other relationships as well! The next part will describe how to setup the stored procedure and explain what is in there. After the stored procedure I will explain the duration. Part 2 of this series showed how the data model is defined and how you can get the relationships into your query. Now we are able to pull any relationship and property from the DWDatamart! The next part will explain the stored procedures used in SCSM reporting.